I am in no way a beauty blogger. Hell, most of the time I don't even wear makeup. 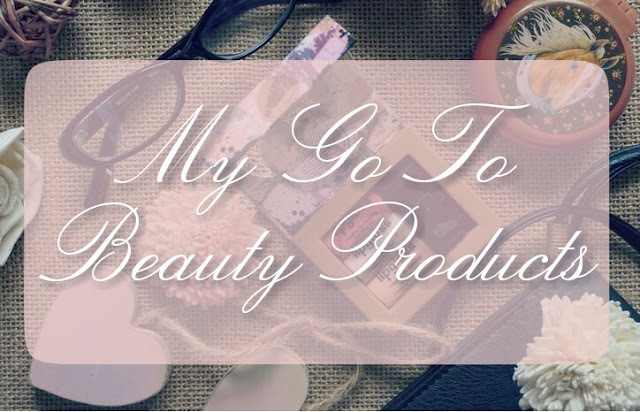 However, a ton of my readers have asked about my go to beauty products and must have favorites. I have a Makeup Must Have's post coming soon for "Blogtober" so this post is all about my beauty faves minus makeup! Be sure to stay tuned for that post and comment your beauty must have's and go to's in the section below. Also, let me know your thoughts if you have tried any of my go to products. My thoughts are you don't need a ton of makeup if you have a good skin care routine and my Fall/Winter Skin Care Routine post is coming soon. So don't you worry! I love the Clean & Clear Deep Action Exfoliating Facial Scrub . I use facial scrubs every night. That company has a bunch to choose from. Right now I am using the black head deep action linked above since that is an issue I have with my skin. In the morning I use the e.l.f. Hydrating Daily Face Cleanser . I actually never used to wash my face, I know gross right, and these days I wash it twice. I noticed a dramatic difference when I upped my skin care routine, in the overall wellness of my skin. From tone to texture it has greatly improved. You might not know this, but it is actually really important to wash your face in the morning as well, not just at night. Especially if you do the coconut oil mask listed next. Quick morning rinses give you a clean and fresh surface to work with if you are someone who puts on daily makeup. Every night after I wash my face in the shower I rub Nutiva Organic Virgin Coconut Oil all over my face. You can really use any coconut oil. I try to stick with refined, cold pressed, virgin oils myself. Rubbing all over I focus most under and around my eyes, down my neck, and on any dry prone spots. I have noticed a huge difference in my skin since doing this. Less wrinkles, better pigment (less redness) and my skin is over all smoother. I also use this in my hair as you can see how in my 5 Tips For Long Healthy Hair post. This is another skin care item but this one I actually make myself. It is listed on my Etsy Shop. I started putting this on under my eyes at night and it worked amazing. Since I switched to the coconut oil "mask" I have been using this product in the mornings. Like mentioned I don't wear makeup unless I am going somewhere and lets be real that doesn't happen often. So every morning I wash my face and rub this in under and around my eye area. The extra hydration helps postpone aging and wrinkles and it also aids in the reduction of dark circles and morning puffiness. I don't have the energy or the time to pamper myself like I did before motherhood. So products I can multi task in have become my new favorites! That means FACE MASKS! They are just so much fun and I can pamper while cleaning around the house, changing a diaper, and even writing blog posts. My all time favorite sheet mask is 24k Gold Collagen Hydrogel Face Masks and my must have mud or clay mask is ArtNaturals Dead Sea Mud Mask . The gold sheets I get on amazon linked above make me feel so fancy! I will put one on after I lay down Milo for the night and pour a glass of wine and catch up on a Netflix TV show. The Art Naturals is mineral infused and organic. Both refresh my skin and deeply hydrate like no other. There are a ton of sheet masks from fun and funky to luxurious and rejuvenating. Try em' all! I do! I love fragrances! 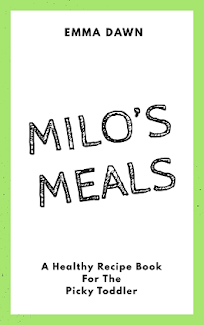 I had to take a break from them while I was breastfeeding Milo, but now it is on! I have enjoyed so much wearing them again. It is the final step whenever I get ready. Fragrances to me are like the finishing touch to an outfit or makeup look. Scents are probably my most favorite accessory. My must have fragrances are Lucky Brand Lucky You and True Religion Hippie Chic these two are my tippity top faves and have been for years. I have the Lucky Brand body spray sitting on my bathroom counter right now and I typically keep that in my car and/or diaper bag. 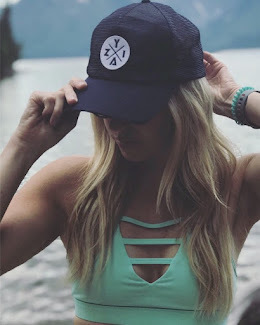 I don't know if this is technically a beauty item, but this is my blog and I suppose I can write whatever I want :) I have been loving the Yogi Berry DeTox tea. It has made a huge difference in my moods, energy levels, skin clarity, hair, nails, pretty much everything. It is designed to rid your body of any impurities. So beauty from the inside out I guess. I try to drink this a few times a week. Tastes like utter complete garbage but most detox teas do. Let's be honest. However, the benefits are worth chugging it down. I have actually become accustomed to it and don't mind the taste as much as I did before. It's definitely worth the try.